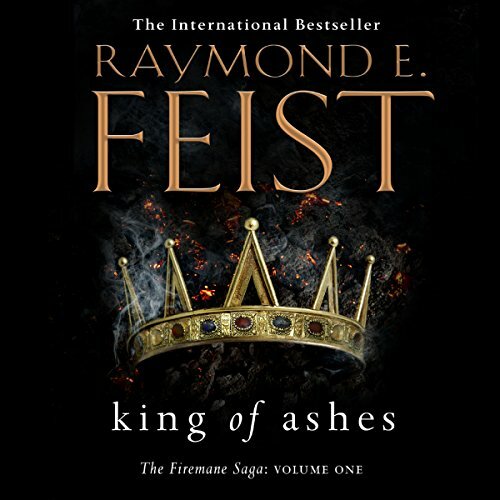 A new novel from internationally best-selling author Raymond E. Feist. Ithrace's ruling family were the legendary Firemanes and represented a great danger to the other kings. Now four great kingdoms remain, on the brink of war. But rumour has it that the newborn son of the last king of Ithrace survived, carried off during battle and sequestered by the Quelli Nacosti, a secret society whose members are trained to infiltrate and spy upon the rich and powerful throughout Garn. Terrified that this may be true and that the child will grow to maturity with bloody revenge in his heart, the four kings have placed a huge bounty on the child's head. Delving into Mr Feist new book, world, characters and lore. 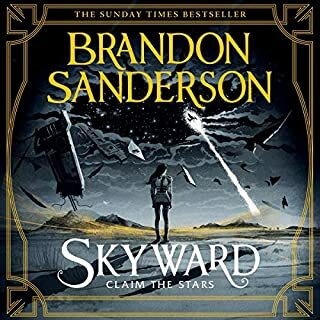 Two things I can say about this book is that it is nothing like his massive Riftwar saga, and when will the next one be out! I felt that this was a book of introduction and world building. Meeting the main characters, exploring their personalities and their goals at this moment in time. The world building was remarkable, and I couldn't help comparing it with my ideas (I will be writing a blog about that at a later date). Did I enjoy the book, oh my yes! With a Captial HELL YEAH! King of Ashes is indeed a first of three as the pace and style scream that. Characters have flaws and strengths with strong motivations. The plot hasn't revealed itself, but I can see there are more surprises in future books. As much as I like it, the drawback of it was the restraint and too much concentrating on the introduction of this series. Which was only a small qualm of mine, it still didn't detract from me losing myself in the story and the need to know more. I would suggest buying the book but wait until the second comes out as you find out the 'need to read now!' feeling. The new fantasy novel I've been waiting for! I bought this based on my love of previous Feist books but I was genuinely disappointed. 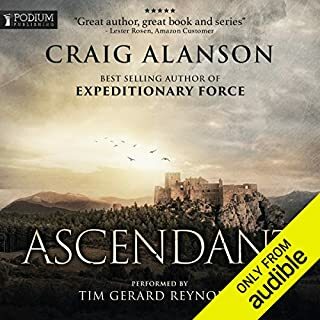 The characters and story just didn’t have the same punch and so many themes were repeated throughout the story that I found myself frustrated at hearing the same thing over and over again. Also, too many elements were just too predictable to be enjoyed. The set ups were clumsy and yet they were then explained as though it wasn’t annoyingly obvious already. I especially disliked the narration. But this story is bland at best with boring characters that scream for something, anything other than what they are. or is it the narrator, bland bland bland. 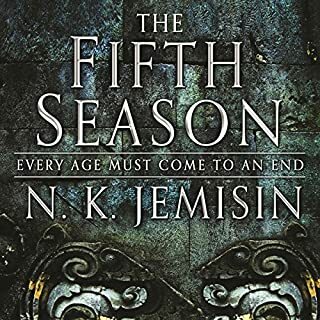 As a huge fan of the rift war sagas I wasn't sure if I wanted to start a new Feist story that didn't feature the old characters (like Pug and Thomas) I knew and loved so much. All I can say is this new story is good...very good and I can't wait for the next in the series to be released. If you're a fan of fantasy then do yourself a favor and start this book today! I absolutely loved this book! It kept me wanting more and I’m looking forward to reading the next book. quite different from his other work, with many things left up in the air and vague. im definitely interested to see where this series goes though and how the different plots ravel together. Great start to a new world! 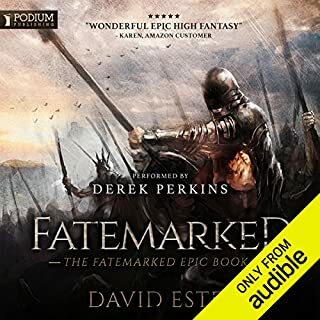 Feist's previous series set a high standard to follow; however, he's managed to create a new world that sets the scene for a great new adventure. A really enjoyable read. Once in a blue moon a book like this arrives. The last time I read something this well written and exciting was when Rothfuss published The name of the wind. You’re sucked straight into this world from the beginning and it’s hard to put it away. I could not stop listening to it besides a little forced sleep. 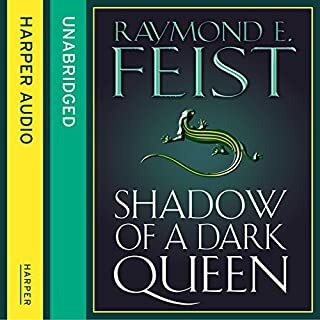 Well done Raymond E Feist! Top notch narrator! I’m really looking forward to the sequel of this masterpiece! 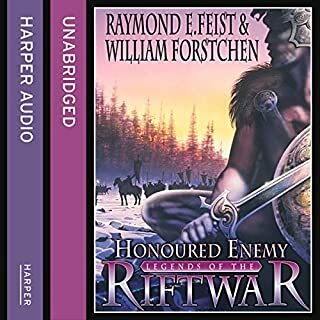 I spent many very happy hours with Feist's books when I was younger, the Riftwar Cycle was among my favourites but I'll be the first to admit that I believe the follow-ups just took it too far and I lost touch with it all. The call of a brand new set of Feisty characters in a brand new Feisty world was never something I was going to resist for long though. 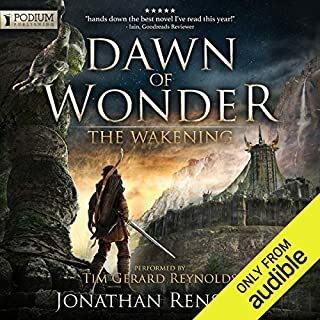 You can't judge a full epic series by the first book but this looks hugely promising if you're in the mood for classic style epic fantasy. It says much that the prologue for this one lasts over an hour. Feist is building this world and its characters patiently with both being given equal precedence. 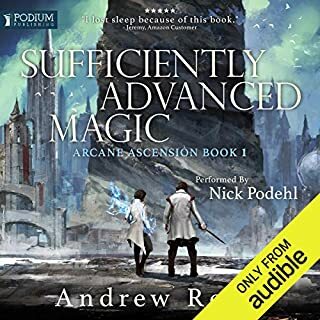 In truth if you're looking for something with a real modern edge you won't find it it here, there is no contemporary fantasy feel to the world or characters that say an Abercrombie or Sanderson might bring. It's just good old-fashioned stuff like we've seen from Feist before. I'm more than happy with that personally but if you're not of that mindset then this might prove a frustrating way to spend almost 19 hours. I've also heard a lot of David Thorpe's narration though mostly in thrillers where he is very good. This being fantasy I wasn't sure he would be ideal for this. As it turns out this is probably one of the best performances that I've heard from him and he demonstrates a surprisingly wide range of character voices. 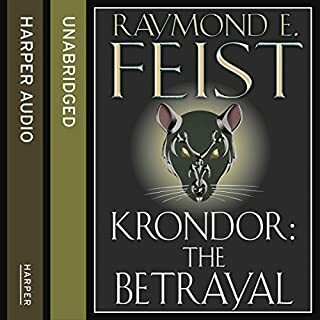 Feist is an old master doing what he does best but the only major new ground he is breaking is the new setting and characters. 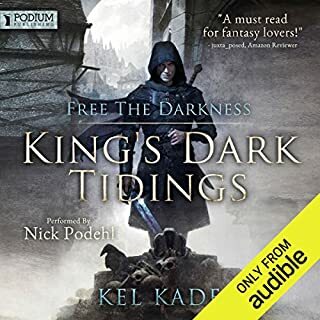 He isn't trying to challenge the new leading lights in contemporary fantasy but this series looks set to be a genuinely epic fantasy in classic Feist style. If that idea floats your boat just grab an oar and jump in! This has all the ingredients of an excellent series. 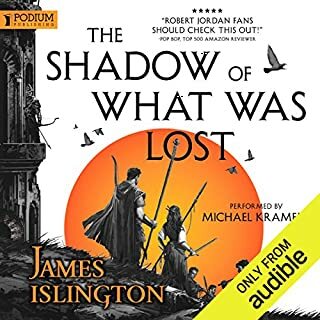 I knew when I started listening that book 1 was only going to be about introducing the characters, and setting the scene for something bigger - but it did that so well and I thoroughly enjoyed all 18 hours 42 minutes of it. Indeed, I was left feeling abandoned by my new "friends" when it ended, and had to "just check" that I hadn't misread the release date of this, and perhaps book 2 might already be out....alas not. This has the makings of an epic fantasy. 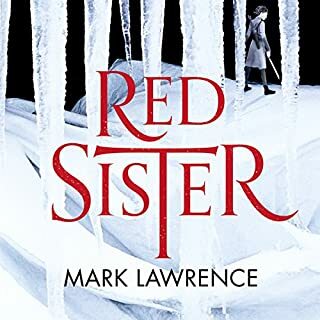 Decent traditional fantasy stuff with a slight "frontier meets mafia" feel but with likeable, fully developed characters - and a few poisoned apples in the mix to keep it interesting. Hints of power and magic to come.....roll on book 2! Narration is fine - occasional moments of not knowing who was speaking, but nothing too damaging to the story. A good listen all round. Great listen, well paced. Can not wait for the next part. everything to be expected from the author. 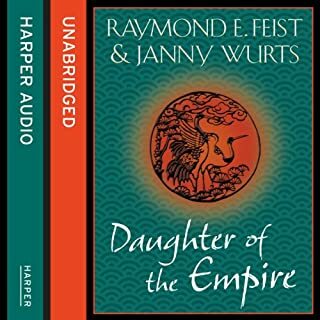 as much as I love reading raymond feist and as much as I love Audio books I just couldn't get into this. 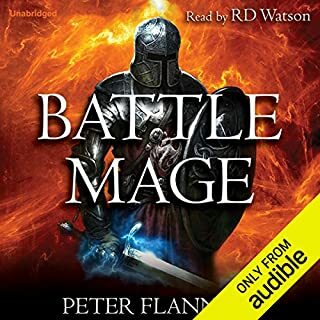 I'm sure that this is another great book from RF but this is the first time I've had to stop listening to an audio book as I'm afraid the narrator was just dull and unintersting. A brand new story from a great author, this is thoroughly engaging from start to finish. 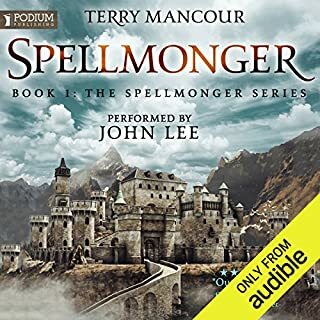 The narrator is very good and adds substance to the characters. This seemed to finish far too soon but more likely this was due to me being unable to stop listening. Cant wait until next book. 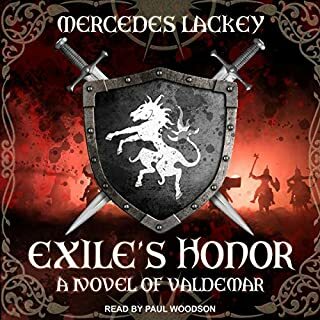 One of the best books I've listened to this year. Great content and well delivered. It will drag you in, eventually, and will have you wanting more. Here’s hoping for the next instalment. 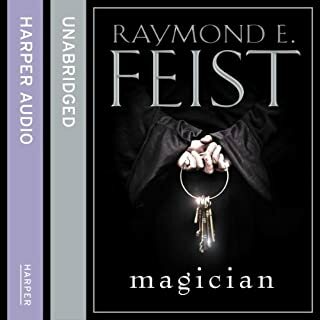 Firstly I am a fan of FEIST and did enjoy the book. I thought it was good world building and character development. I was just disappointed at the finish and the lack of resolution. There is not really any problem to solve and no antagonist so to speak. Basically this a beginning with no middle or end. i understand this is a series but in my opinion, each book should have a resolution. narration was excellent.